An overall Air Quality Index of 367 was recorded, which falls in the very poor category, according to data of the Central Pollution Control Board. Delhi witnessed further deterioration of air quality to alarming levels after heavy stubble burning continued in the last 24 hours in neighbouring states, with 10 areas recording "severe" pollution.An overall Air Quality Index of 367 was recorded, which falls in the very poor category, according to data of the Central Pollution Control Board. An AQI between 0 and 50 is considered "good", 51 and 100 "satisfactory", 101 and 200 "moderate", 201 and 300 "poor", 301 and 400 "very poor", and 401 and 500 "severe". Stubble burning leads to increase of PM2.5 (particles in the air with a diameter of less than 2.5 micrometres) also known as fine particulate matter. 1. The PM2.5 was recorded at 217, the highest of this season. Fine particulates can be a matter of more serious health concern than PM10. 2. The PM10 level (particles in the air with a diameter of less than 10 micrometres) in Delhi stood at 347, according to the CPCB data. 3. In the NCR region, Ghaziabad recorded severe pollution levels, while Faridabad, Gurgaon, Noida and Greater Noida recorded very poor air quality. 4. Ten areas in Delhi recorded severe pollution level. These areas are Mundka, Anand Vihar, Ashok Vihar, Bawana, CRRI Mathura Road, DTU, Jahangirpuri, Mundaka, Narela, Punjabi Bagh and Rohini. 5. The Centre-run System of Air Quality Forecasting and Research (SAFAR) said the pollution is likely to increase faster by tomorrow and day after and then slow down. 6. "Air quality index will be in the upper level of very poor for next three days. The main reason is heavy biomass burning in past 24-hours and local calm winds," SAFAR said. 7. 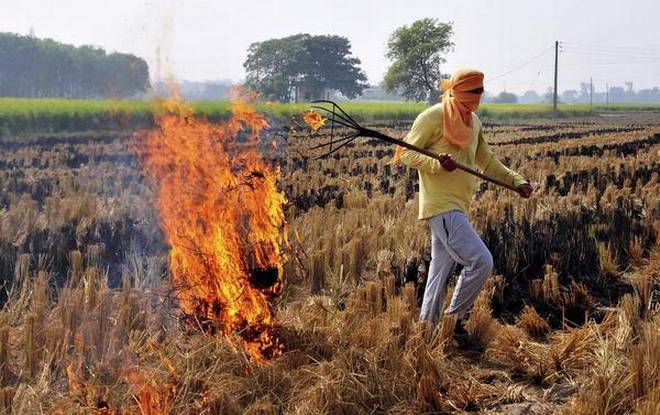 According to the Indian Institute of Tropical Meteorology, large number of biomass fire spots were seen in satellite imageries in neighboring states of Delhi. 8. The prevailing meteorological conditions are less favourable for dispersal of pollutants for next two days due to moderate ventilation index and low wind speed, it said. 9. "As per Air Quality Forecast the overall Air Quality of Delhi is likely to remain close to upper end of very poor category next two days," the IITM said. 10. A thick haze due to smog continued to hover over the national capital during the day, authorities said.